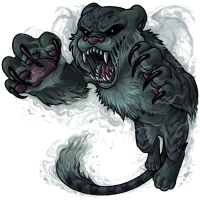 Hostage the Nightmare Tigrean has won the Pet Spotlight! I LOVE the mini strategy game!!! You are so good at coding! What a great mini-game. took me a bit to finish it. UGH i love hostage!! this was such a fun lil game to play! What an amazing pet and concept! It took me several tries before I got it right, but I love the CYOA style of the story. Great job! Aa that was fun! Congratulations! amazing profile, I do love a cyoa! congrats, well deserved win! That was such a fun story to play through! Congrats!! Oh WOW~! that is entertaining I love the click n' read <3 Kinda frightening too. <3 Excellent work Congrats! Wow, I love the story!